I'll be there and understand all costs are at my own expense. THIS BUS TRIP HAS BEEN CHANGED TO A PARK N RIDE EVENT, DUE TO LOW ADVANCE REGISTRATIONS. Departure location Post Road + US 131 carpool/commuter lot, 7:30 AM. 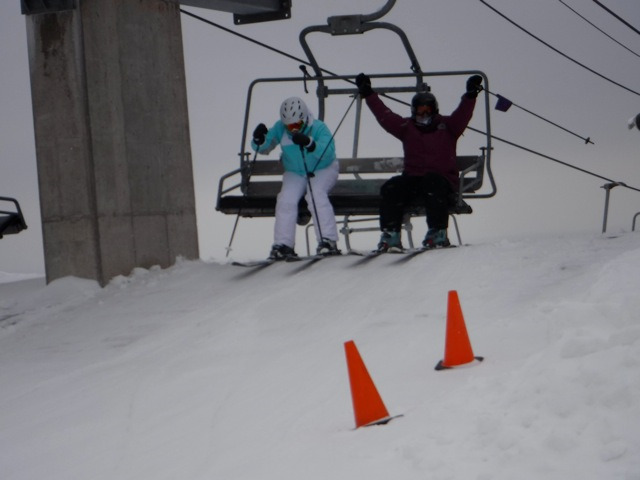 $22 lift ticket deal still available for all who join us. The first bus trip of the year is to Crystal Mountain. Andrea Gerstle and Karen Hartley are your hosts. Meet at "Park-N-Ride" at I-96 and the East Beltline (North side of The Gravity Restaurant) at 6:30 with bus leaving 7:00 a.m. sharp. Lunch and lift tickets on your own. Shirley has negotiated great lift ticket pricing: $22 for all ages (vs. $54!) and free if you are 80+. For those who prefer x-c, it's $17 to use the trails all day or $15 for four hours. Those over 60, it's $12. You do not have to be a member to go on this trip. Invite your friends! You can pay with credit card or by sending a check. Please register online.